Hello everyone! Aren't these so cute? We are making these adorable Easter baskets featuring the Window Box Thinlits Die Set and the Sweet Little Something Stamp Set at my Big Shot Class this month. The Window Box Thinlits Die Set is so easy and versatile! 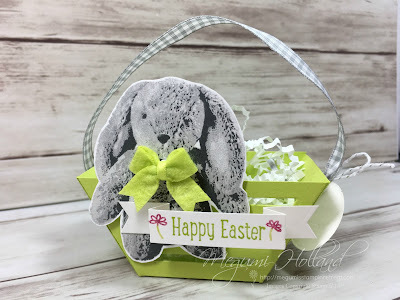 I just used one box die-cut piece to turn it to a basket. Super easy! How about this adorable bunny? I'm having a lot of fun with the Sweet Little Something Stamp Set! 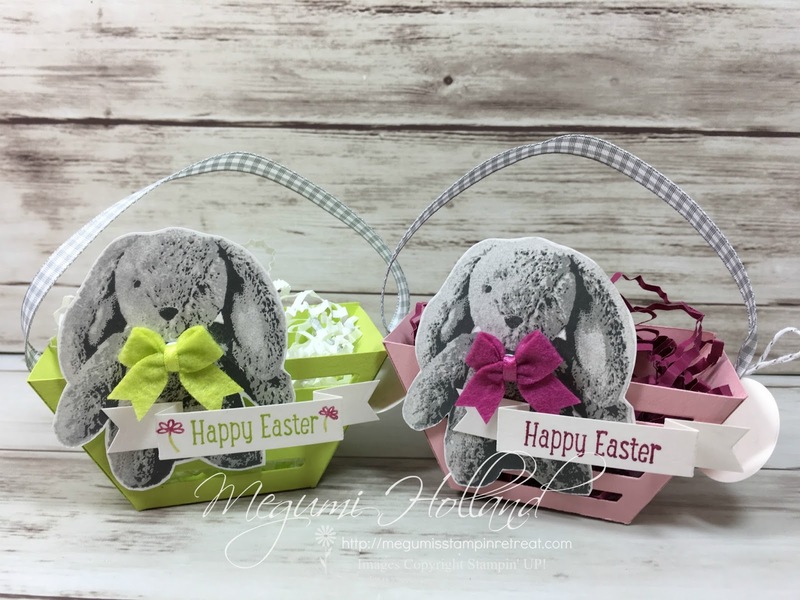 You can create fun REALISTIC bunnies in just three steps! No kidding!!! I have tried several different ink colors and they are amazing. I even made a variation chart which I will share it with you with my February Card Club project. Stay tuned! You can go ahead register for this class online. Please note space is limited and the online registration will automatically close when it's full. Please feel free to contact me with any questions.